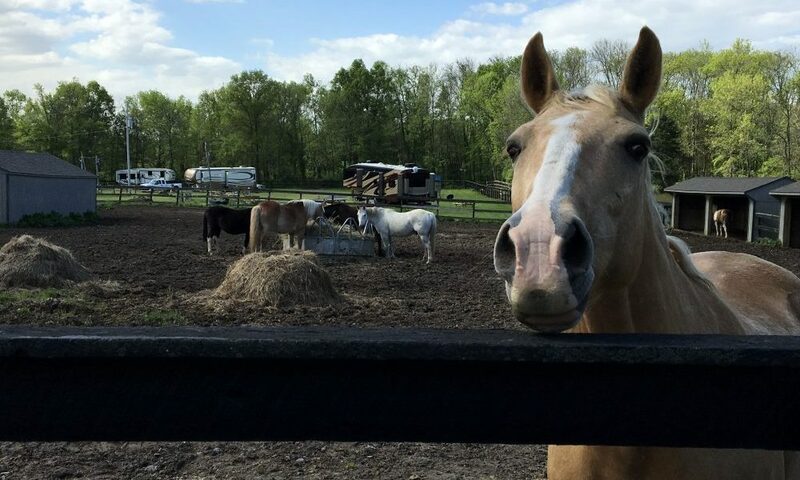 Your Horses are Our Valued Guests, too! Day use entitles you to park your rig in the day use parking area and ride the trails with limited use of our facilities. Sawdust is provided in all covered box stalls. We ask that all stabling facilities be cleaned after use. If stabling facilities are not cleaned prior to check-out we will charge your credit card an additional $20.00 cleaning fee. Wheelbarrows and muck forks are available for your use. Register at the office and sign an insurance waiver before entering the campground. Provide your liability insurance company name as well as your Coggins Accession Number to the office during check-in. Horses are not permitted on marked campsites for any reason, nor are they permitted to be tied to the cabin railings. Riding in the campgrounds is restricted to the roads only. Please do not ride through the sites. 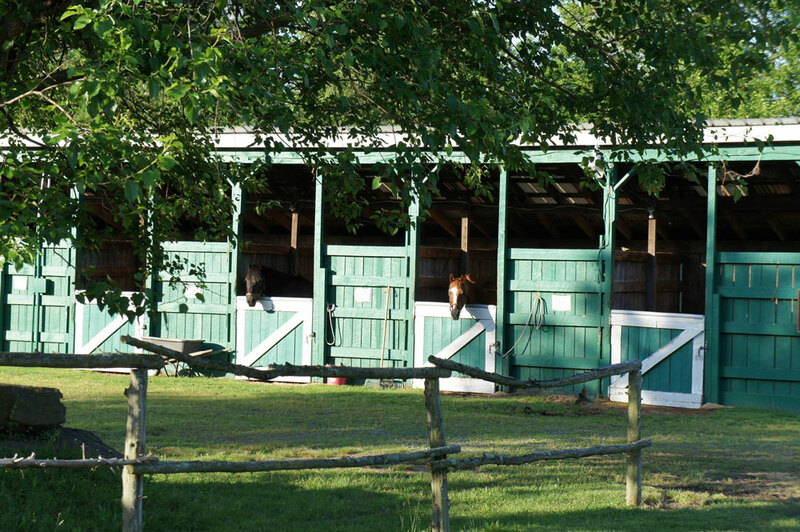 All horses must be kept at a walk when entering or leaving the campground. Stalls are to be cleaned before you leave. If you do not clean your stall there will be a $20.00 fee charged to your credit card for cleaning. Please remember that we do have other campers here, and some may not be as fond of horses as we are. No motorized vehicles, bicycles, or carts on horse trails per National Park Service. There is NO smoking or drinking of alcohol allowed on any of the horse trails! 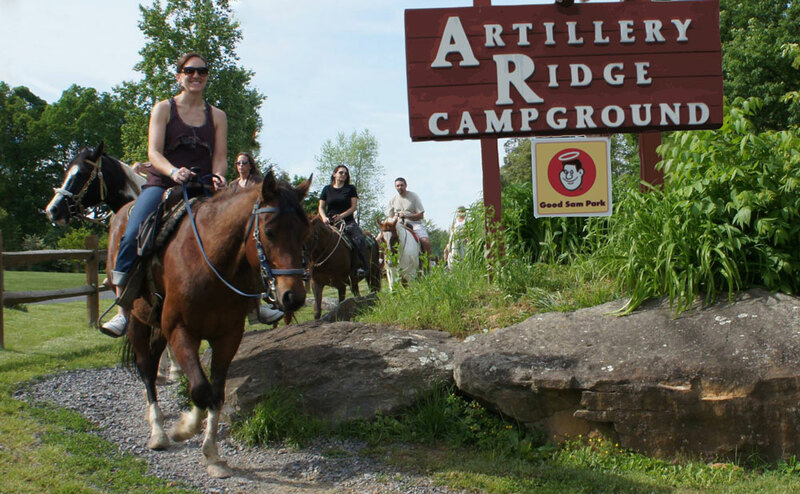 All campground roads & horse trails are stone; we strongly recommend shoes for your horses. All rates are subject to change. Holiday rates may apply. Cancellation must be 15 days prior to reservation. Deposits will be returned minus a $15.00 service fee. After 15 days, deposits will not be credited. We reserve the right to change sites as needed. NO CASH REFUNDS. NO EXCEPTIONS!